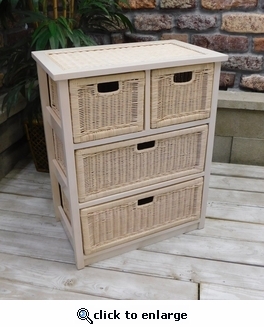 Top quality handwoven rattan storage compartments slide easily into solid wood frames. Organize your kitchen, home office, or bedroom closet. You'll find so many uses for these handy storage bins that you'll wonder how you ever got along without them. Comes in a White or Pecan finish.